The Jaguar F-Type comes as something of a surprise. Back in the fifties and sixties, Jaguar pretty much dominated the sports car sector, with their classic C,D and E-Type models brimming with style and speed. They were the Porsche Boxster and 911’s of their day. 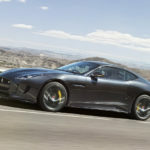 But they faded away, with the British brand focusing more on luxurious cars, such as the elegant G2 models.Now, with the arrival of the Jaguar F-Type Coupe, the brand claim they have created the perfect mix of a top sports car and a super car. For them, it’s the Austin Healy of the modern era, a contemporary interpretation of the E-Type. It’s meant to represent a real challenge to Porsche’s dominance in a fairly niche sports market. The British company want people to buy the Jaguar F-Type for the same reason they buy the Boxster’s and the 911’s. Will this actually happen? Let’s find out. The new Jaguar XJ saloon looks the part, and it also benefits from some intelligent lightweight aluminium construction. As such, it represents a very viable option in the luxury sector for anyone who wants an alternative to what the German’s are offering. Jaguar was certainly flagging as we entered the millennium, but in the last 5 years it’s picked up a lot. Still as suave as ever, the brand is now cool. More importantly of all, it’s relevant once more. The XJ faces some stiff competition from the likes of the the Mercedes S-Class, the Audi A8 and the BMW 7 Series, but thanks to some major revisions it looks as though it’s got enough to lay down a gauntlet. Let’s take a closer look at what it has to offer with our review. 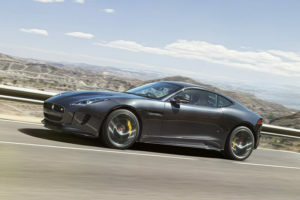 Jaguar lease on the F Type 3.0 V6 S/C 340PS “2013 World Car of the Year” Just £599 + VAT per month over 4 years based on an initial payment of £5,391 + VAT and 8,000 miles per year. 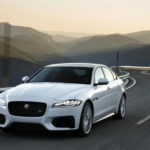 Jaguar lease on the XF 2.2D Lux (163) Saloon Auto “Named Most Popular Large Executive Car by honestjohn.co.uk readers” Just £299 + VAT per month over 4 years based on an initial payment of £2,691 + VAT and 8,000 miles per year. Jaguar lease on the XJ 3.0D Lux Saloon Auto “2011 International Luxury Car of the Year by Road & Travel” Just £439 + VAT per month over 4 years based on initial payment of £3,951 + VAT and 8,000 miles per year. 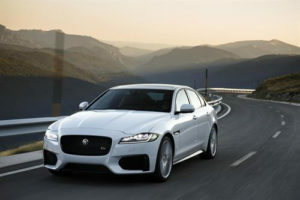 The Jaguar XF had been long due a facelift, which finally came in 2011. Jaguar has worked hard to add some extra features to the XF model. Here are some of them. The Jaguar XF was launched in 2008 and it underwent a major facelift in 2011.The new model includes a four cylinder 2.2-litre diesel engine in the line-up. The company continued to improve its model, by adding a Sportbrake, a cleaner 3.0-litre option.